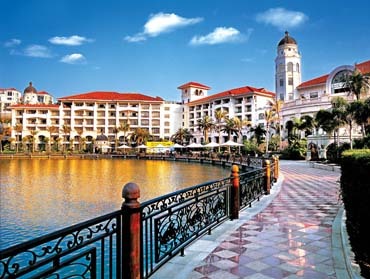 Situated in a beautiful natural environment, with Phoenix Mountain at its back and Greenery Lake in the front，Phoenix City Hotel Guangzhou has a total area of 200,000 m2 and a construction area of 78,000 m2 . 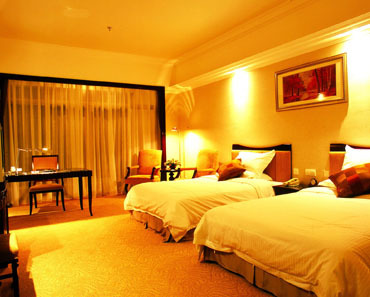 By way of Guangyuan Expressway and Guangzhou-Shenzhen Expressway, the Hotel has easy access to the Pearl River Delta cities, airports, railway stations and seaports. Phoenix City Hotel features more than 600 spacious and comfortable rooms and suites, designed by world-famous designers with luxurious decoration. Phoenix City Hotel Guangzhou’s magnificent and elegant European architecture style radiates a uniqueness and mystic of classical culture. Its fully equipped and advanced facilities, together with its platinum five-star personal services, deliver a royal living style for all visiting guests. The curved ceiling and corridor of the hotel lobby is a recreation of the Sistine Chapel by Michelangelo. The golden and colorful frescoes exhibit the classicality and marvels of the Holy Bible stories once again. Phoenix City Hotel features more than 600 spacious and comfortable guestrooms and suites that are equipped with advanced facilities. All the rooms are designed by world-famous designers with luxurious decoration and offer fabulous views over the mountains or green lake.